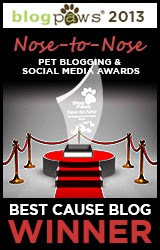 Your class or school could win a Skype visit with the Fire Safety Dogs! 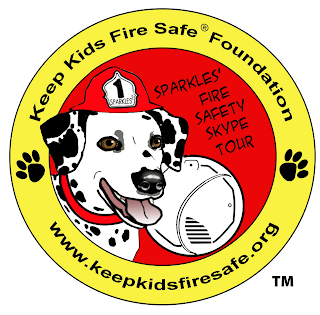 The Keep Kids Fire Safe® Foundation, with funding from State Farm® and First Alert®, is seeking a limited number of schools to participate in the Sparkles’ Fire Safety Skype Tour™, an innovative, free fire safety program designed to teach children what to do in case of a fire. 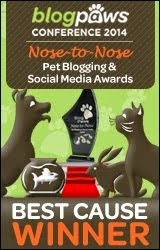 The program will be offered for a limited time, March 2012 to March 2013. 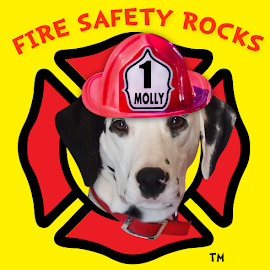 Firefighter Dayna Hilton, recognized as one of the leading fire safety educators in the United States, has developed this 30 minute, fun, educationally sound and interactive fire safety program for children. 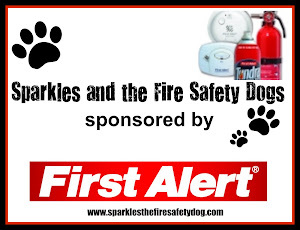 It features meeting a real fire safety dog, reading the Sparkles the Fire Safety Dog children’s fire safety book, learning fire safety messages, singing fire safety songs and becoming a Junior Firefighter. It also includes time for children to ask a few fire safety questions. 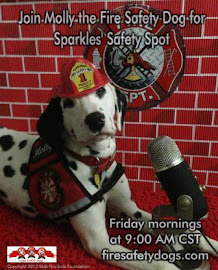 Sparkles’ Fire Safety Skype Tour™ will be delivered to a limited number of schools via Skype. The goal of the program is to teach basic fire safety knowledge and skills to kindergarteners and first graders. 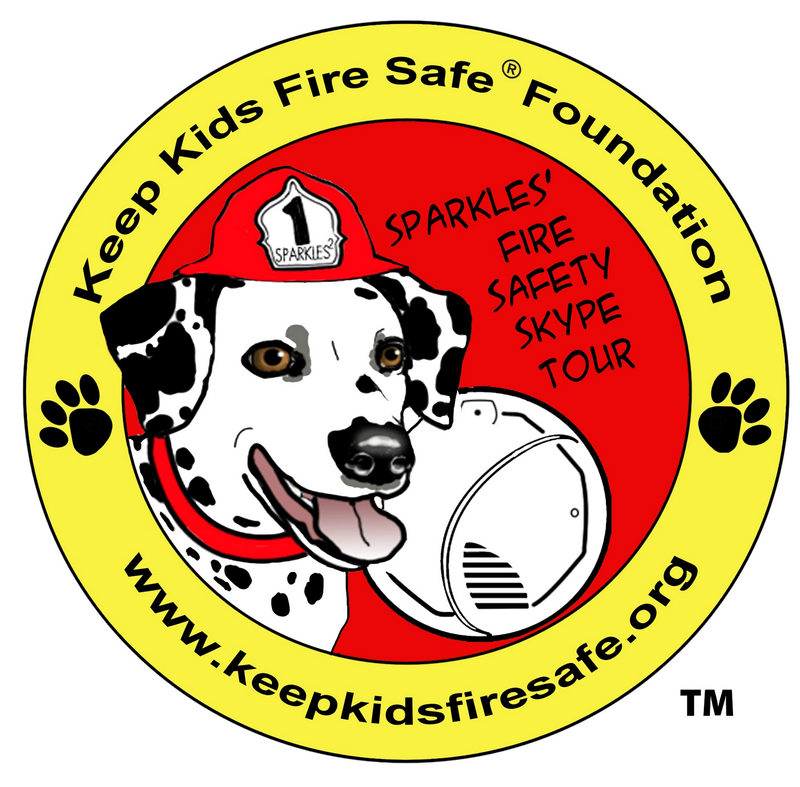 For their participation, children will receive a free, downloadable copy of the Sparkles’ Fire Safety Skype Tour™ coloring e-book and other bonus materials. Each month, up to 10 schools will be selected to participate. The Skype visits will be held each Friday of the month, beginning March 16th 1:00 CST, with each Skype visit lasting up to 30 minutes. Applications are currently being taken, but hurry! Participating schools will be selected on a first come, first serve basis. Completed applications must be received at the Keep Kids Fire Safe® Foundation as soon as possible. For more information, visit the Keep Kids Fire Safe Foundation webpage at or by contact Hilton at keepkidsfiresafe@gmail.com. 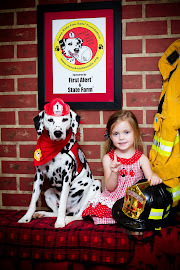 Keep Kids Fire Safe® Foundation is a federally recognized 501(c)(3) non-profit charitable organization dedicated to teaching fire safety knowledge and skills to children and their caregivers based on fire safety research. Through programs, safety materials, and strategic partnerships, the Keep Kids Fire Safe® Foundation aims to help reduce fire-related deaths, injuries, and property losses.